The Association of Craft Butchers said some butchers might be supplied with imported meat, passed off as Irish. AN INVESTIGATION INTO butchers’ shops across the country found that half of bacon and pork in the shops tested was not Irish. The DNA testing was carried out by the Irish Farmers Association (IFA). Eleven shops in 9 different locations were examined, 120 pork products were tested. Certified butchers are supposed to display the country of origin of their meat products as part of the ‘Certified Craft Butchers Programme’. It is not a legal requirement but is there to help customers make informed choices. IFA National Pigs and Pigmeat Committee Chairman, Pat O’Flaherty, said that he was very disappointed with the results. “The level of imported product identified by the DNA testing is compounded by the fact that the country of origin was not displayed in any of the butchers stores audited. Over 80% of the locations are part of the Certified Craft Butchers Programme, yet none carried country-of-origin labelling. When these findings were discussed with the Association of Craft Butchers (ACBI), it claimed that some butchers might be supplied with imported meat, passed off as Irish. However it was not all bad news, two of the butchers audited demonstrated strong support for Irish meat and Irish farmers. These two ‘star performers’ were O’Crualaoi Butchers, who operate four stores in Cork and Quinns butchers in Shannon, Co, Clare. Email “Half of bacon and pork tested in butchers' shops not Irish”. 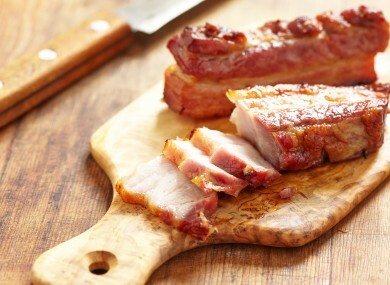 Feedback on “Half of bacon and pork tested in butchers' shops not Irish”.